So you want to work for the World Health Organization? Everyone has heard of the World Health Organization, and anyone who works or interns in one of their departments will no doubt have received a reaction from friends and family that suggests WHO is the Holy Grail of global health facilitators. At the very least, WHO enjoys an unparalleled profile recognition across public and sector-specific demographics globally. So it was only natural that when the offer of a competency-based interview talk arose while working on Roll Back Malaria Partnership’s communications strategy at WHO that I went along to glean insider tips on how to secure some of the most sought-after employment positions across NGOs. Preliminary considerations to take into account include the usual fine-tooth comb level of attention to the vacancy details and entry requirements. 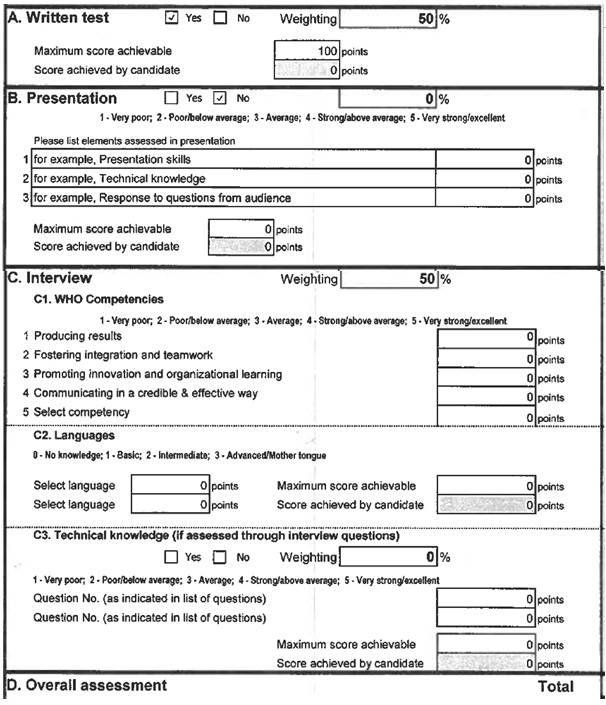 The initial screening process of WHO and similar international NGOs invariably out-selects candidates who identify from nationalities which are already fully or over-represented within the employee field. The quotas at WHO are determined by the relative contribution of that nation to the organization. So British nationals have little chance of being employed at WHO for the foreseeable future. That aside, let us assume that you have been invited for interview. Congratulations. At WHO, these are performed on one of three platforms – in person, via video, or over the telephone. Where possible, avoid the latter as the rhythm and tone of your voice is a lesser alternative to the visual presence afforded by the first two options. Interviewers are encouraged to treat video and face-to-face interviews with comparable weight and without bias, so it is perfectly OK to interview from home if the plane fare or dates are prohibitive factors. The interview process here is competency based. Whereas traditional interviews encourage an abstract bi-directional discussion in which we sell our attributes, in a behavioural, or competency based situation, the model aims to gauge a persons’ competencies related to the role applied for. These interviews often focus on past situations, rather than hypothetical ones, and demand careful structuring of answers, which invariably reveal more about a person than a traditional monologue. This model is used to project how you as a candidate would perform in the role through a fair and standardised process. So you might be wondering what a competency is. It is not interchangeable with technical aptitude (which would be tested through written or practical tests as part of the application process), but rather as part of the collective personal behavioural picture the application process seeks to construct. Tell us about a time when/can you give us an example of? The interview panel will subsequently follow up this structure with probe questions if they require clarification on any point. This all seems fairly straightforward, but what are the people across the table from you actually looking for? They are watching out for positive and negative indicators based on the hypothetical model candidate for the role, which can be registered by verbal clues in your answers directly referencing required skills. Competency based interviews need not be a source of mystery or anxiety. With preparation, they serve as a platform for you and the selection panel to identify whether the career individual as you are at the time of application has the relevant skills to succeed in the role and to develop within it. Situation: a specific situation that addresses the question, your role or position, when it happened, the problem or assignment. Task: the task demanded by the situation detailed (what were you asked to do). 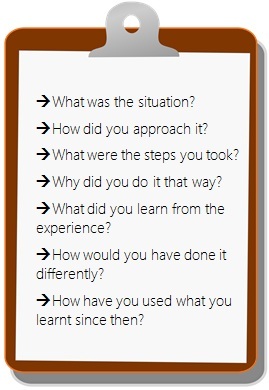 Action: what actions did YOU take to address the situation (outline the development and execution of your plan). Result: what were the results of your actions (measurable responses preferable). This progression lets the panel know that you could replicate the hopefully positive effects for them. At WHO, positions will be mapped across three competency groupings: core, management and leadership, all of which align with the universal WHO aims and ethics. Fundamentally, other tips to give you the best chances of success and prepare yourself to greatest effect, include the usual considerations of posture, body language, attentive listening, enthusiasm and courtesy. Notwithstanding the instructive nature of this post, the key is to not be someone you are not. If you are not prepared, you should be prepared to fail, so a healthy mental refresher and structuring of the skills and passions that shape you as a candidate will only enhance the underestimated personal, gut reaction, that often influences the final decision. Good luck.